Both social media and Google can generate traffic to your blog but which one is better for a blog when it comes to monetizing a blog through affiliate marketing. In answering this question I am going to look at my own experience as well as borrowing from a couple of people who have had a little more success (well a lot more) than me. 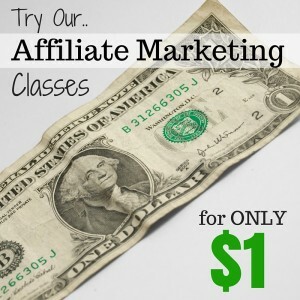 I earn money online using affiliate marketing and in the main being an affiliate marketer for Amazon. 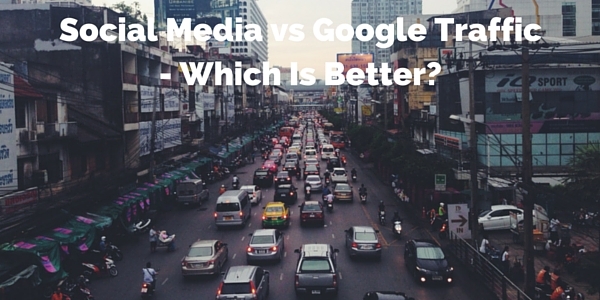 So it’s from that perspective that I’ll put my thoughts of the difference between Google and Social Media for traffic. There are different approaches that do need to be taken to use these methods for getting traffic and conversions as people tend to use them for different reasons on the whole. I think this is an easier way to go, although you are at the mercy of Google who over time have made a number of changes to their algorithm. But in that respect Social Media is no different – they involve too – always looking for ways to improve their value in terms of profit and to the users too or just to improve their monetization opportunities. They are large businesses that want to make a larger profit. So in this respect they are similar. There are risks that they will make changes to the way they work that could stop the flow of traffic to your site or they might decide (automatically or manually) that you have contravened one of their many rules (complicated too) and stop the traffic. Once you get them to your site the next part of the process is after informing them is to have them click on one of your affiliate links. In my experience those that have arrived looking for information to help with buying or looking to buy are much easier to get to click on a link providing you give them the best information you can along which should also be unique in some way to you. This doesn’t matter which way you’ve got them to your content. From my experience the ones that do come from Google are more likely to click on your links are those from Google they are there to buy or getting close to buy and you’re just helping them with their decision by providing the content they want. With social media traffic when they arrive they seem to be more interested taking a look around those that stay or there very quick to leave and go on with their day. For me the best source of traffic is from Google. It’s where I get most of it and from what I’ve been able to see it converts better too. But that doesn’t mean I’d abandon traffic from social media – I just need to work harder to get better at using it. However, from what both Erica Stone and Pajama Affiliates are two people that have managed to make money in affiliate marketing from using social media. Lesley Stevens, from Pajama Affiliates mentions in her course Affiliate Marketing Masterclass that she gets traffic from social media before she the posts are ranked in Google and it converts to commissions. In fact she mentions that up to half of the traffic to her very successful site comes from social media. With Social media it is difference to Google. Some niches will work well on it and others won’t work as well as (discussed by Erica Stone in PinTrender is what works). If you’re not in those niches you can struggle with traffic and conversions. Marketing on them is different because people aren’t on there looking to buy something – they’re on there to interact with others. So it is different. The exception to this is Pinterest where people do look for things they might want to buy at sometime and they might re-pin (or save it). But this is where only certain types of products are going to be popular. With all social media you have to market in a certain way to get the attention. With search traffic when you focus on buying keywords, there are people that are searching information and products to buy. They are in the mindset to buy, you’re not there trying to move them from a social interaction to looking for a product. For me it is much easier to understand how you get traffic from Google as it is less subtle because of the intention of the searcher. Create the best content you can for buyer keywords and over time you can see traffic and conversions if you’ve structured the content the right way. With Social media it is much the same as regards content although but there is also you approaching the social media in a way that doesn’t appear “spammy” and with Pinterest and others its having images that appeal to the people on there (with Google you don’t need an appealing image to get them to click on your site – you do want good ones on your site though). Being over reliant on Google is not a good place to be from a risk perspective – if it gets turned off there goes the income with it. What is your experience with traffic and conversions from social media and Google? Which do you think is better? I think it totally depends on the niche. I have a site with thin content that’s banned by Google which still continues to make money thanks to Pinterest. I have other sites with both Google, FB and Pinterest traffic and I don’t feel the Google traffic necessarily converts better for me.